It’s been another bumper week of useful posts and links so I’ve collected them together for your viewing pleasure (and mine). 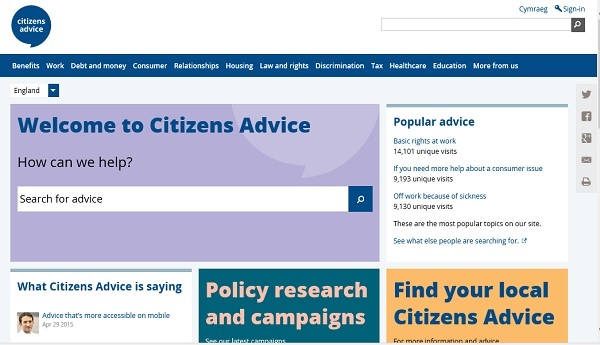 Citizens Advice launched their new website. It works brilliantly on mobile and equally well on desktop. It must have been a huge job to manage the relaunch of such a comprehensive information site. Here’s the CAB blog which charts the project (thanks to @mikedixonCAB for sharing). Which political party should get your landing page vote? Great post from Matt Collins on eConsultancy’s site comparing how the parties are using their websites ahead of the election. Why your charity’s culture is critical for digital success – six things that will help charities develop the right culture for digital by Zoe Amar. Howard Lake curated lots of excellent charity comms in his London Marathon storify. And this list of seven digital fundraising lessons from the marathon on eConsultancy is really interesting for super savvy events fundraisers. 1/3 of top fundraising charities fail Google ‘mobile-friendly’ test – analysis from Civil Society magazine. And advice from Platypus Digital about what charities can do to be mobile ready. You can vote for your favourite charity picture in this NCVO photo competition as featured on Guardian Voluntary Sector Network. They’ve been showcasing individual photos via Twitter well too. How to write a successful trust letter – useful tips plus free template and spreadsheets to help small non-profits manage their applications. Protein World – a social media storm. Great post by Kirsty Marrins on the response from and backlash to Protein World’s ‘Are you beach body ready’ campaign. I spotted on Twitter yesterday that it reportedly generated an extra £1m in sales so they are clearly happy with the result. How can charities use reddit to spread their message? Useful post from CharityComms. 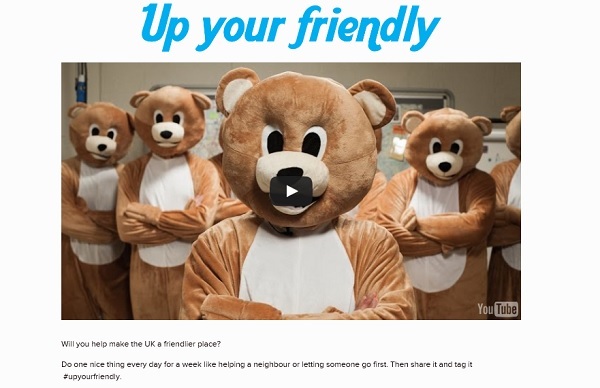 Parkinson’s UK ran Up Your Friendly as part of their awareness week activities. The site gathers lots of acts of friendly deeds. Amnesty UK’s #Don’t Let Them Drown campaign showed body bags on Brighton beach. 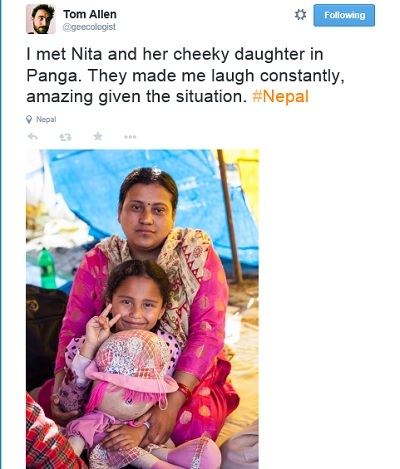 Of course the big campaign of the week has been all the activity around the Nepal earthquake. There’s been so much, too big to reflect on here but the tweets from @TomAllen who is out there and works for ActionAid have really stood out. Charity Comms’ Digital Transformation conference. 21 May, London. #nfptweetup 27. 21 May, London. This one’s all about video. And I am re-running my Content Strategy course at Media Trust on 14 May. 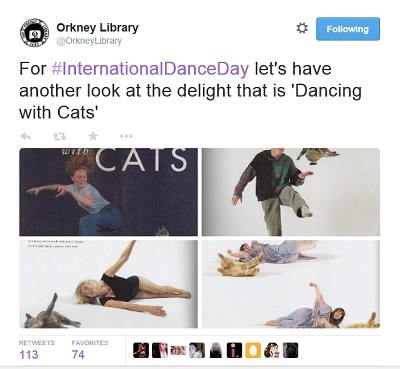 20 of Orkney Library’s best tweets on Twitter. Love this – genius, creative and funny tweeting which capitalises on the rich content and randomness of their paper stock. What’s on your radar? What did I miss? Please do share in the comments or via Twitter.